The unbridled enthusiasm of the caller transcended the airwaves, and found its way into this cynical heart. I resolved to give it a try next time I went shopping. And lo! It came to pass. Not just once, but again and again. And never once did I fail to thank Asphaltia for her intervention. Buoyed by my success, I shared the secret with my children. Their scorn lasted only as long as it took for me to effortlessly find the ensuing four parking spaces, after which time they were converts to the Asphaltia cause. They even tried to stop me from spreading the word in case all the good parking spots went to other Asphaltia-botherers. But like many a zealot before me, I was on a mission and would not be deterred. I gave the glad tidings to all my friends, and have since been rewarded with the warm glow of their undying gratitude. 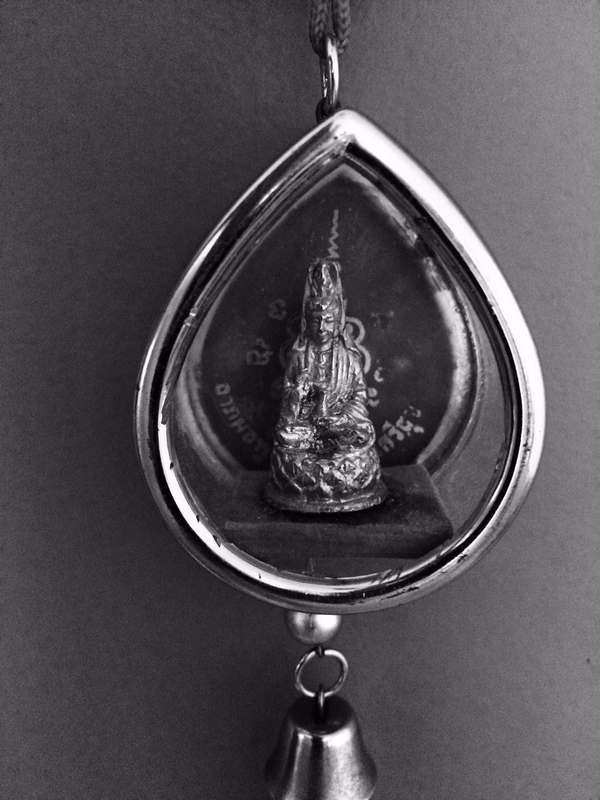 I once returned from a trip to Malaysia weighed down with small brass goddesses that could be hung from rear vision mirrors. Everybody wanted one. My own Asphaltia is housed in a tiny glass temple, and hangs proudly from the phone charger in the car. One day, while stationary at a railway crossing, awaiting the passage of a third train, I decided to impose further on my hardworking deity. If she could control parking spaces, it was possible that her powers extended to public transport. I called upon her to minimise the delay, whereupon not one, but two trains sped through the crossing simultaneously, heading in opposite directions. She had answered my prayers. Call it a simple change in attitude if you will, but the effect on my life has been just as profound as a religious conversion. Having faith in positive outcomes makes life so much easier. Since I found Asphaltia, I can say that my faith in her has rarely been misplaced. And the rewards are enormous. Just don’t forget to say thank you. Thanks for the link to your Asphaltia poem Kristen. The words and your reading of them brought a tear to my eye. I thank Asphaltia not just for my everyday parking spots but for the airbags in my car the day of the the car crash that broke my neck:https://diywoman.net/minerva-brace-photo/ Amazingly we found my little gold Asphaltia in the wreckage. I never drive anywhere without her.